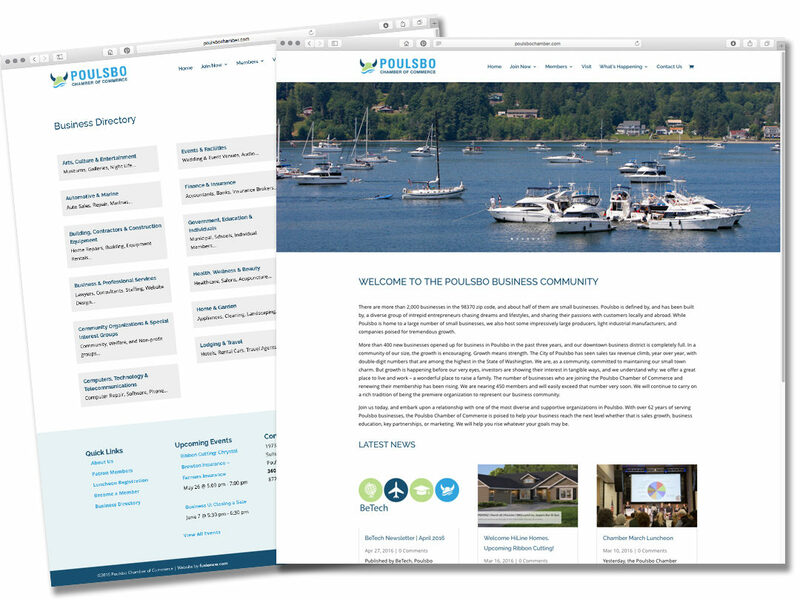 Poulsbo Chamber of Commerce website. Project Description: Responsive website redesign. Dynamic membership directory.